What a busy time its been. 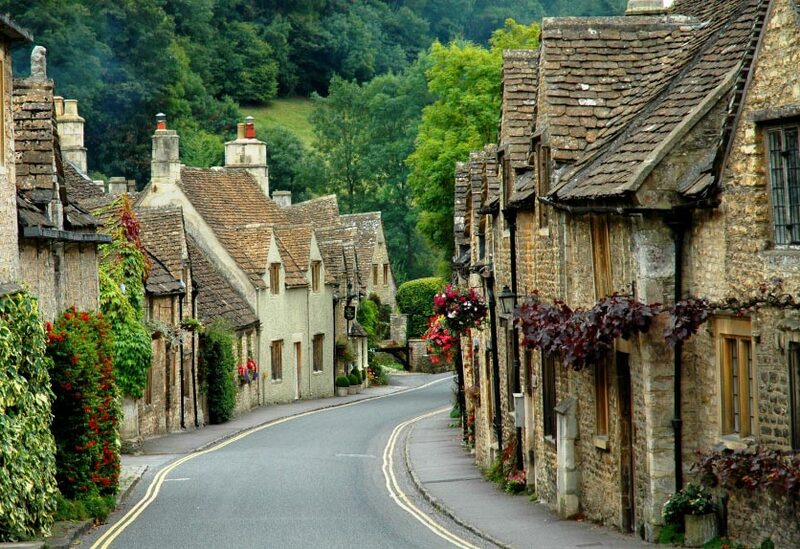 Since Australia Day projects have begun and I have also had a very quick visit back to Gloucestershire in the UK. So first let me tell you about the UK – it has been cold that’s for sure but I have been back to take part in my Leadership Course run by Quolux. I had been a doubter of the “guff” that is leadership. This course and in particular the amazing work of Stewart and Rachael combine with the strength in depth of fellow cohort business members has changed my view. I cannot recommend them enough if you are looking for an International LEAD programme. I also went back to see how the team are going at The Wiggly Worm – the charity I founded. It’s so exciting and fascinating to see it start a transformation under the leadership of Abby Guilding. She no doubt will bring it focus and clarity, define better its purpose and shape it for a stable future that will help more people. I am so proud of what she is doing. I have caught up with lots of amazing people who supported me in the UK and had so many meetings with teachers, company directors and others who are eager to join a social enterprise movement that can challenge the status quo of the what if, how about, what can. I hope to be able to make some announcements to UK projects and the organisation in the coming months so do watch this space! Last night was party night. How lucky to party at the Bathurst Estate in Cirencester ( picture attached). Real history and real culture hosted by the Earl and Countess of Bathurst. It’s a bit like Downton with singing around the piano, champagne bubbles flowing and great conversations. I have started my work with Little Green Spade and the first blog recipe will be published soon. To be inspiring the parents, carers and volunteers who look after the 0 – 5 years olds is a fantastic job to have with just over 1million 5 – 17 year old children obese or overweight in Australia capturing good food values in early years is vital for the economy and educational outcomes. My own children have returned to school for the new school year. 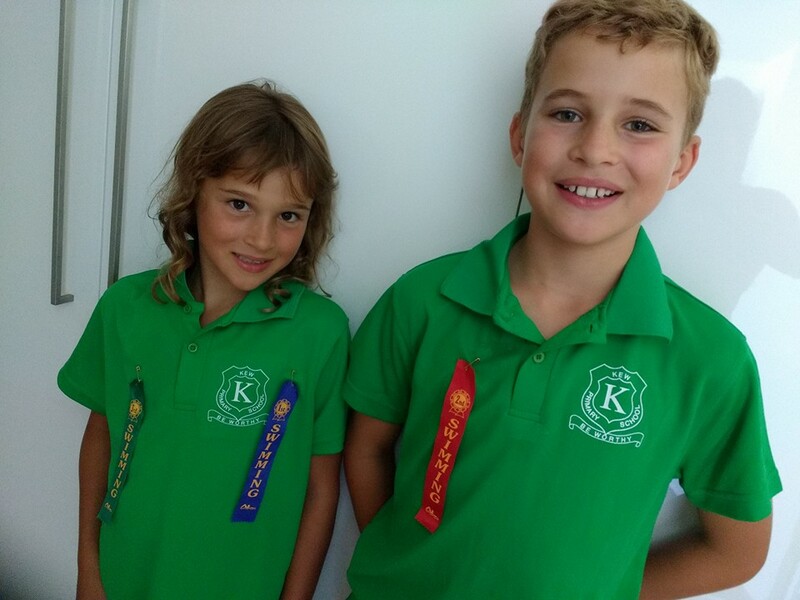 They now have some really fresh and healthy with no packaging packed lunches that either my wife or I take time to prepare as we see that investment in their health as important as their wider education and physical activity. We need the school to give them more than a 10 minute break to consume their lunch and to start to also value it as part of a whole school approach to food. It must be paying off as for two English children to arrive in Australia less that 6 months ago and to beat the locals in the swimming pool proves something. We await the call from Team GB for the future!. Over the next few weeks we will post the packed lunch Term 1 ideas on www.facebook.com/foodworks1 as well as the recipes so click, like share but most importantly have a go. Catch you later and Happy Cooking everyone. #behealthy. Happy New Year – we are now recruiting for a Part Time PA and Project Support Team Member. Time to step out, step up and make a difference by working with Rob Rees MBE DL and partners. Be part of something very new and exciting. Click the link below for a brief spec and follow the simple process. Well here is a fantastic idea on a day when we must remember that hunger doesn’t go away. For families of young people who are struggling with life please do get down to Fed Square in Melbourne and enjoy a great tasty start and celebration to your day. Here is one to do over Christmas that can cover the globe. 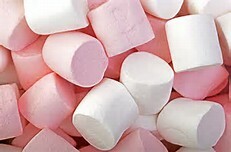 Imagine that a global world of marshmallow. I know what some of you will be thinking – how much of your day to day work is like pushing marshmallow up hills! Whisk the egg whites until “stiff peak2 stage. Bring the sugar and water to ‘soft boil’ stage ( the same stage as fudge making) then carefully and slowly pour into the egg whites, whisking continuously. Whisk in the Vanilla Seed and Orange flavouring. Place the gelatine in a bowl and cover with cold water. Once the gelatine has softened, remove from the water and place in a pan on the heat the heat will cause it to dissolve then whisk into the egg white mixture. Line a deep tray (aprox 8” x 6”) with cling film and generously dust with icing sugar and a little corn flour. Spoon the mixture into the tray and smooth off the top. Dust again with icing sugar and allow to set. Dust a sheet of greaseproof paper with icing sugar. Once set turn out the marshmallow mixture onto the greaseproof and cut into your preferred shapes. Place into gift bags or serve on plates as required. Last week Frank Fields MP announced part 2 Report of Feeding Britain. At last we are seeing a joined up all parliamentary approach to an issue that should not exist in a modern European city or indeed anywhere. This report has a great focus on solutions and ways forward to make change. Delighted to see The Wiggly Worm charity mentioned as well as so many fantastic UK organisations at grass route levels making a difference to hungry people in their communities. Its a good read. Take the ideas and make them happen where you live. Big thanks to the amazing Cotswold Life Magazine – especially Katie Jarvis who wrote this article just before my move here to Melbourne. The addition of the words of Mr Chris Dee – a dear friend who works so hard promoting the great tourism industry of England around the world make it a truly rounded , funny and spot on article. Do have a read my Australian friends as it may help explain the “Reason of Rob” – perhaps a new phrase to be used in the future here !?! Well big thanks to this amazing coalition of foodies here in Victoria who invited me into their gathering to discuss the Right to Food this week. Totally awesome. The aspiration is 100% spot on. How should anyone be going hungry in Australia and the UK is disgusting and a failing of modern policy and health care systems. This group is in its primary stages supporting the National Right to Food Organisation of Australia from the State of Victoria. Hopefully next Spring the manifesto and how to achieve it will be clear. Its a case of watch this space. The Human Right to Food link explains the why for the globe. Making that happen in your part of the world takes a coalition that can have vision and purpose and clarity. Once achieved the political landscapes at a locality and national level must do the right thing and stop the hunger – this will achieve financial stability, environmental improvements, political balances and equality and happiness more likely amongst your population. 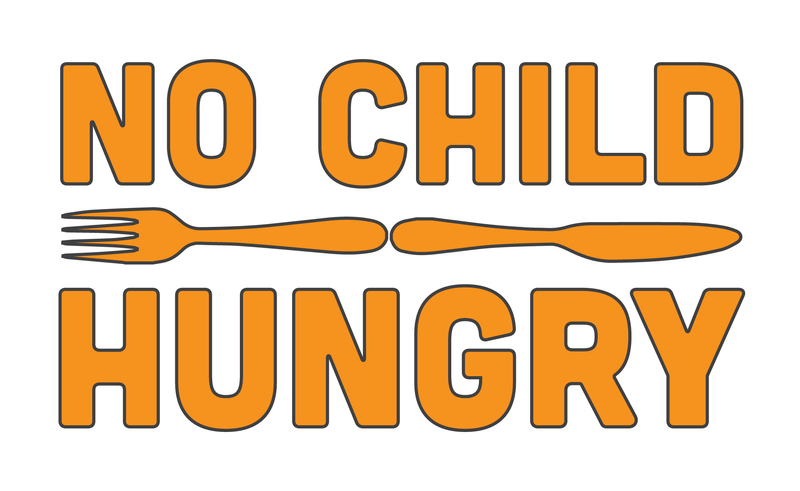 The Wiggly Worm Charity in the UK established No Child Hungry – campaigns across the globe mirror the exact sentiment. I don’t know about you but nobody should go hungry in the modern world we live in today. 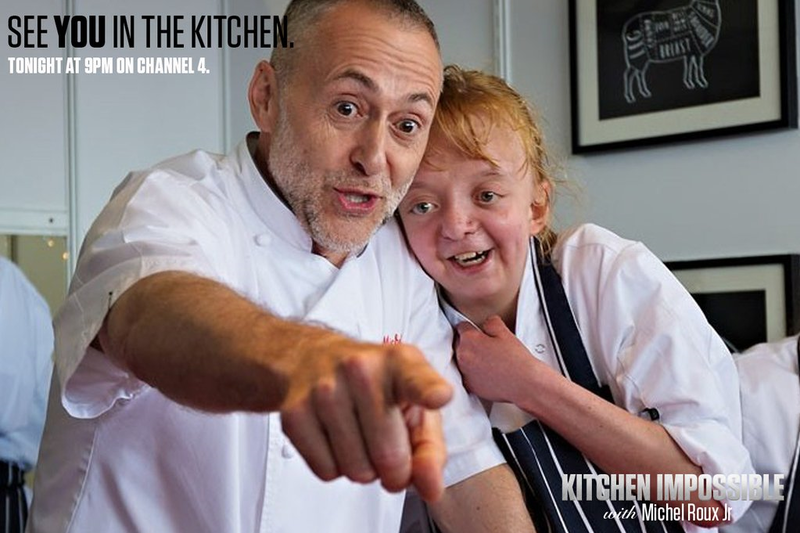 So here is the full length Episode 1 of Kitchen Challenge featuring myself in the UK with some amazing participants, Michel Roux Jnr and the amazing Wiggly Worm charity for whom I am Ambassador having founded it 7 years ago. Really pleased that we have signed up today as members of B1G1. What a fantastic way to be able to support others. Its brilliant to know that each time you purchase projects from us we can now give to others across the globe who may well need support. Just today we helped support a project here in Australia helping young indigenous population with access to computer education. B1G1 Home site will take you to the main home site. As a business, individual or a charity you can join and support change in the world. Want your child to perform better? Hot of the press today the evidence that shows if your child’s school puts in a breakfast club or you can provide a healthy breakfast at home they may well perform twice as well at school. Its a no brainer Australia. Stop serving trash to your children in school canteens, sort the rubbish so called standards and guidelines out. They are open to the vaguest of interpretations. Do it before your double burden obesity and malnutrition brings your health services to its knees. Its really not rocket science, education, productive policy leadership, enforcement and off course award and celebration. Do it by bringing your communities with you rather than forcing it upon them but do it before its too late.